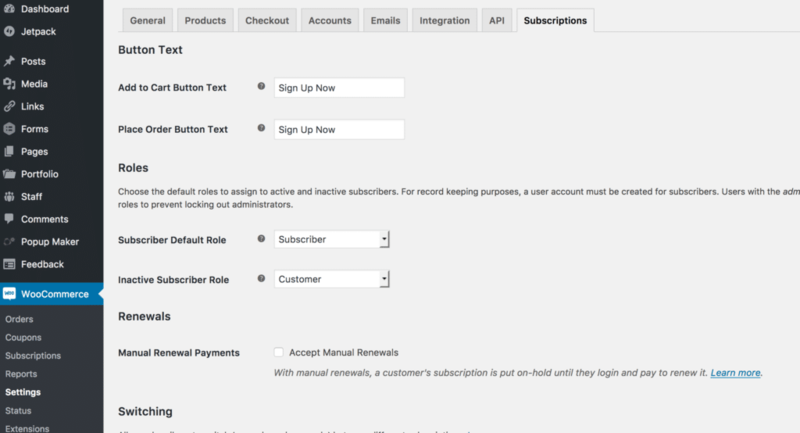 Setting up WooCommerce Subscriptions is pretty straightforward. As should be the reasons going for subscriptions. However, you may run into certain issues and documentation on some issues may not be clear enough. Subscriptions will mean recurring revenue. It will means that you can sell packages that can be sold time and again. And you will be selling them automatically. We all need repeat business where we can get it and this is the perfect way to arrange repeat business. Also, it is way easier and cheaper to keep a client than acquire one so the more reason to keep the ones you acquired. We assume here you can acquire the plugin yourself and activate the plugin from within WordPress or using the WP CLI command line tool. That is not too hard really, even for beginners. So let’s move onto the configuration. Once the plugin is up and running you can go to your WooCommerces settings where you will find a new tab called subscriptions and there you can work on setting up WooCommerce Subscriptions for real. 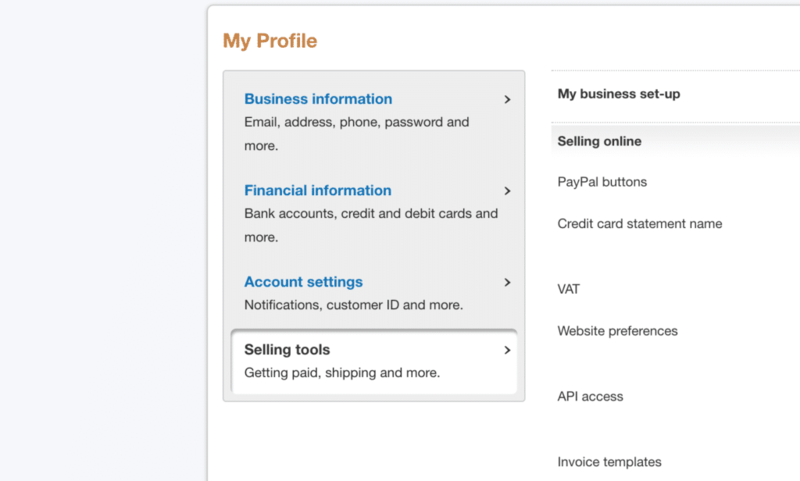 There may be other issues to deal with like PayPal tweaks as we will discuss later, but let’s start with this overview tab. You can set the button text and default roles. Button text speaks for itself. Default role you should choose carefully. What do customers become when they are subscribed. Most of the time the default settings are fine. But do make sure they apply to your business setup. Normally you will do the subscription renewals automatically. That is the joy of using them in the first place. You let customers auto renew their accounts so they can keep on enjoying their package and you can keep on enjoying recurring payments. Sometimes however you would like to accept manual renewals. This way the subscription is put on hold until your customer renews himself. You can allow the switching of packages. This means you can allow your customers to upgrade or downgrade their subscription with you. You can do this with a variable subscription product which most of you will have or within a grouped product. You can also choose both. You can however also choose to let it be his loss. And that case he will will pay until the end of the period of the subscription package he chose and pay for the new setup at the same time. If you work with a sign-up fee as well you can choose to run this fee when the client switches package, but you do not need to do this. For example, a store selling a monthly gift box might ship the boxes on the first of each month. If a customer signed up on the 20th of January, by default her first renewal would be on the 20th of February. With renewal synchronization enabled, the customer can sign up on the 20th January and pay nothing to sign up (unless there is a sign up fee) and have the first subscription renewal processed on the 1st of February. The next renewal will then be processed on the 1st of March, then 1st April and so on. Also here with this setup you can do pro rating for the first payment. This as your customer may only enjoy part of the package that month before the new package is sent out. PayPal is inactive for subscription transactions. 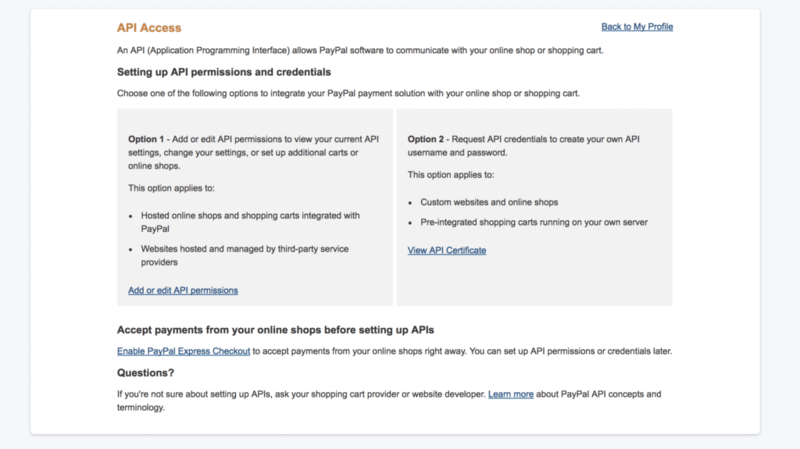 Please set up the PayPal IPN and enter your API credentials to enable PayPal for Subscriptions. will refer you to WooCommerce documentation to get this IPN and API Credentials in order. The link to IPN details goes to the wrong section though and I had to click on PayPal there to get to that same link again properly. There you can read up on both and there you will also find links to PayPal documentation. 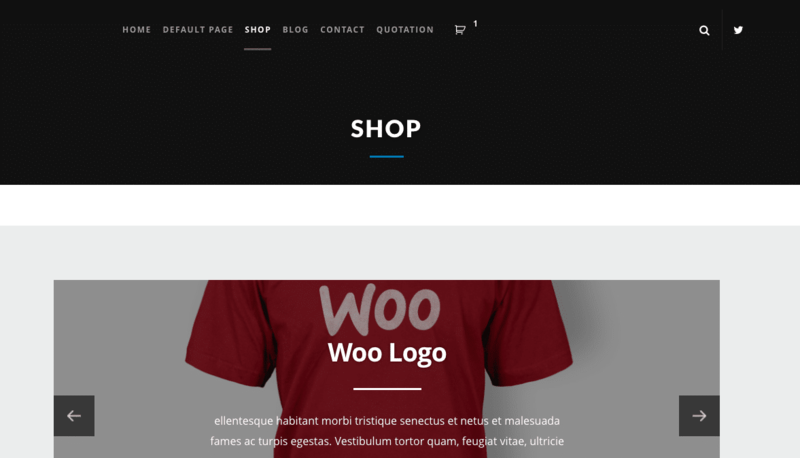 The WooCommerce section on IPN is actually here. And there they have a nice animated gif showing you how to do it. Do change the url go represent your website of course. Also make sure message delivery is enabled. NB IPN is not the be best way to run these things and for other sites like Rocket Pure we set up PIT as well. NB Sometimes you will be required to identify yourself as account owner. Especially when you decided to work from a different location like I as Digital Nomad often do. Once that is done the setting upWooCommerce Subscriptions is a fact and you are ready to rock and roll!